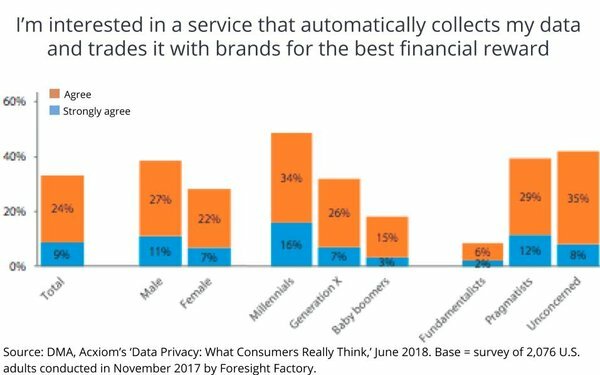 Most Americans are aware of and understand the role of exchanging their personal data with brands and digital media platforms, but they perceive it is an asymmetrical market that mostly benefits businesses -- not them personally. 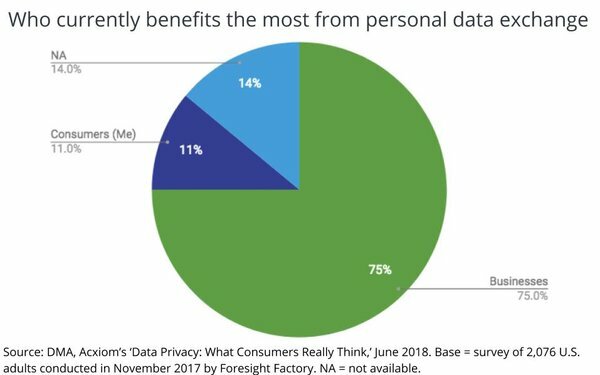 One in four Americans say the believe the data exchange mostly benefits businesses, not consumers, according to results of a survey of more than 2,000 adults conducted by Foresight Factory for the Data & Marketing Association (DMA) and Big Data firm Acxiom. Only 11% said it mostly benefits consumers, while 14% were either neutral or had no response. 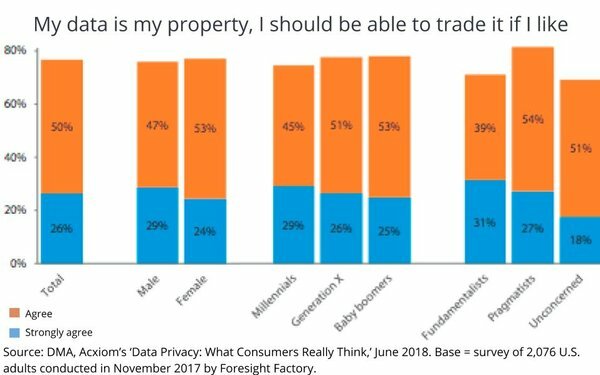 Interestingly, a majority of consumers are savvy about the concept of data self-sovereignty, and even understand it is their “property” and that they should be able to “trade it” with others. One in four (76%) of respondents either agreed or strongly agreed with the concept.